Hey. I’m Cris the founder of MotivationGrid. My goal is to spread our knowledge, experience, and positivity to the rest of the world. In this day and age there’s no shortage of information out there that promises your self-improvement. There is so much content available that finding something genuinely useful is really, really hard. That’s why our writers are focused on aggregating the most mind-blowing and actionable content in concise, easy to use posts. Let’s be real, we don’t have the time to sift through pages and pages of fluff. Our goal is to ignite a fire in you by giving you exactly what you need to change your life in a positive direction. We do that by giving you information, motivation and accountability in bite-sized pieces you can swallow whole and implement immediately. We all have a vision of just how incredible our lives could be if only we knew how to make our dreams a reality. Here, you get the tools to make the ship that will carry you towards that vision, one day at a time. For the past 2 years we’ve been ranked by numerous publications as one of the best motivational blogs/websites in the world. To seek support from the community, find us on facebook. 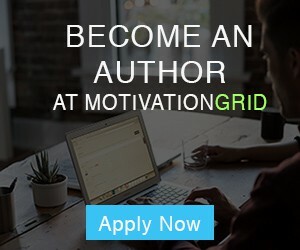 To contribute a post, read the submission guidelines and send your contribution to guestpost@motivationgrid.com with “Guest Post” and the post title in the subject line.